When I was 10 years old I bought myself a ‘Teach yourself Chinese’ book. Fast-forward to today and I still have that book as a reminder that the exposure to the language and international culture at that young age seems to have set the background to my professional and academic life. 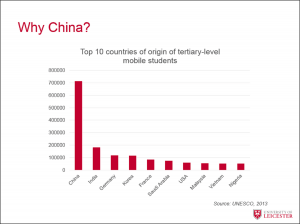 No one can ignore China – whether you are talking about trade, international relations or student recruitment. It has the largest number of students studying overseas by far of any country. As a University, we are in a fantastic position thanks to the international recognition of the quality of UK higher education. Our International Office works tirelessly to achieve outstanding results. In 2015/16 ‘international’ students represented 27% of the on-campus study body, and if we add in EU students the number increases to 32%. After Brexit and its obsession with immigration, exporting our education becomes more important. But China is not and should not be our only focus. Countries such as India and Indonesia are equally important. The quality of the educational experience is key. The perception amongst some people of international students as a money making stream misses the point entirely. In a truly international university our students all bring different cultures and different ideas about how the world works. 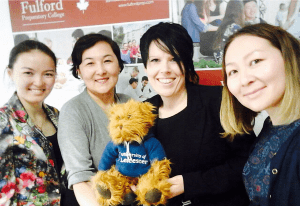 We already benefit hugely from being located in one of the most multicultural cities in the UK, and this is the ideal place for staff and students to build their international experience, cultural awareness and global perspective . Alongside this organic internationalisation, there is a strategic effort to ensure that every one of our degrees is making a contribution to the internationalisation of our curriculum . In an era when employability has taken centre stage across our sector, it is important to realise that experience overseas can give graduates the competitive edge in the hugely competitive global jobs market. We also have a fantastic track record of building provision in countries like Iraq, Kurdistan and other nations facing challenging times or in remote parts of the world. This is not only a positive thing in terms of bringing tangible benefits to emerging knowledge economies, it also allows us to access new and differing streams of research funding. In the same way that we already export our teaching expertise we should be doing the same in terms of research collaboration. A lot of our international collaborations are dependent on individual faculty links and we want to sustain and develop these to work at an institutional level as well. 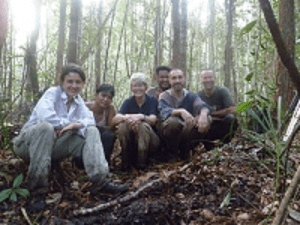 Sue Page’s work on peatland conservation in Kalimantan, Indonesia, is a great example of this. We need to focus our efforts and new developments on those areas where we can make a real difference and it is my ambition that our international agenda will lead us to the point where we are recognised as one of the most significant, productive and internationalised universities in the world . You can read a more detailed interview with Sarah here.